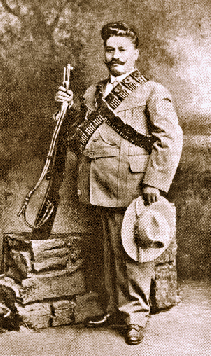 One hundred years ago today, Otilio Montaño Sánchez was shot as a traitor to the Mexican Revolution. Montaño was a rural schoolteacher who came to mentor Emiliano Zapata via Zapata’s cousin. Montaño had the distinction of helping Zapata draw up his movement’s “sacred scripture,” the egalitarian Plan of Ayala, and rose with his protege to become Secretary of Public Instructions in the Zapatista governing junta. A small town in Morelos is named for Montaño.